131,718 lbs. of 14.75-oz. cans with "Libby's Spaghetti and Meatballs MADE WITH PORK, CHICKEN AND BEEF IN TOMATO SAUCE" on the label with package code 2100701200 and Use By Date 01/02/19. 71,614 lbs. of 14.75-oz. cans with "Del Pino's SPAGHETTI & MEATBALLS MADE WITH PORK, CHICKEN AND BEEF IN TOMATO SAUCE" on the label with package code 2100701200 and Use By Date 01/02/19. 38,330 lbs. of 14.75-oz. cans with "Hy-Top Spaghetti and Meatballs Made with Pork, Chicken and Beef in Tomato Sauce" on the label with package code 2100701200 and Use By Date 01/02/19. 22,064 lbs. of 14.75-oz. cans with "Food Hold Spaghetti & Meatballs MADE WITH PORK, CHICKEN AND BEEF IN TOMATO SAUCE" on the label with package code 2100701200 and Use By Date 01/02/19. 21,975 lbs. of 14.75-oz. cans with "Essential EVERYDAY Spaghetti with Meatballs Made With Pork, Chicken and Beef in Tomato Sauce" on the label with package code 2100701200 and Use By Date 01/02/19. 414,424 lbs. of 14.75-oz. cans with "Chef BOYARDEE Mini pasta shells & meatballs, Pasta and Meatballs made with Pork, Chicken and Beef in Tomato Sauce" on the label with package code 2100700500 and Use By Date 12/26/18. The products subject to recall bear establishment number "EST. 794M" inside the USDA mark of inspection. These items were shipped nationwide to warehouses for distribution and retail locations. 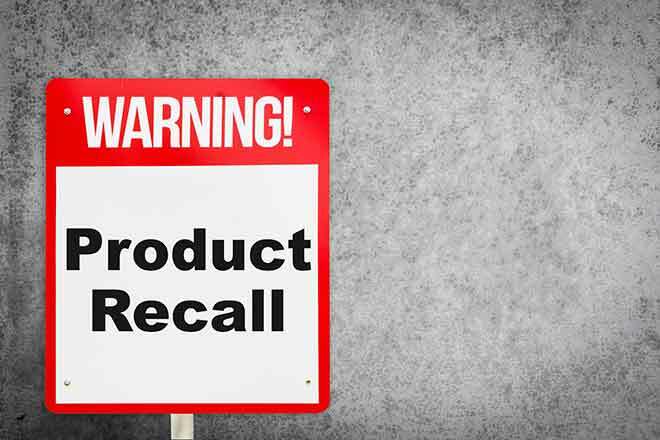 The problem was discovered on June 6, 2017, when the company received notification from an ingredient supplier that the bread crumbs the company received and used in the recalled products potentially contained undeclared milk. Consumers with questions about the recall can contact Conagra customer service at 1 (866) 213-1245.